Maker of top Chinese phone brand – Huawei Technologies and Uganda’s largest 4G network – MTN Uganda yesterday officially unveiled the Huawei P8 smartphone into the Ugandan market, after a successful global launch in Asia, Europe and South Africa. 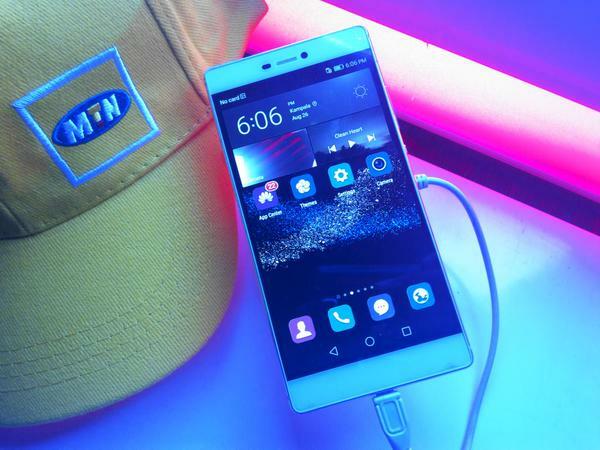 The 4G enabled Huawei P8 was launched in partnership with MTN Uganda, a leader in the 4G industry in Uganda – to deliver a top experience of both smartphone and network. The partnership will see MTN Uganda sell the P8 at UGX 1,590,000 at its outlets nationwide – bundled with 50MB of data, daily for 60 days. The grand launch was held at the Kampala Serena Hotel, graced by the state Minister for ICT Nyombi Thembo and Chinese Ambassador to Uganda H.E Zhao Yali. With warm performances from local artistes; Irene Ntale, Qwela Band and Radio & Weasel. Huawei Uganda also showed off it’s brand ambassadors; soulful singer and guitarist Maurice Kirya, presenter Roger Mugisha, comedian Ann Kansiime and MD CEO Magazine Muhereza Kyamutetera. Building on the aesthetic and functional strengths of the P7, Huawei went to great lengths to emphasize the P8’s creative superiority, design intuitiveness and a host of additional specs that places the Huawei smartphone at the top end of android devices. 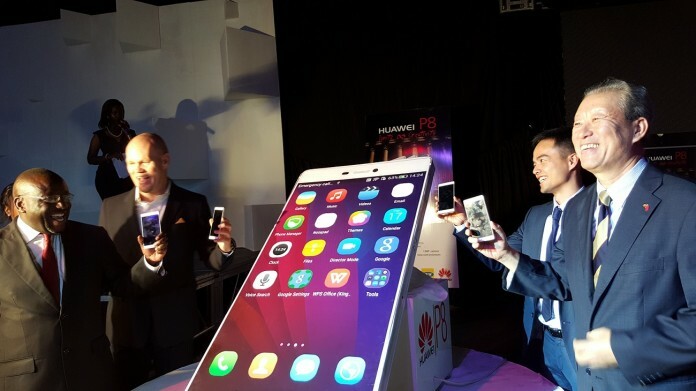 Unveiling the phone, Stanley Chyn the Managing director Huawei Uganda, said one of the P8’s competitive advantage is its ability to connect more efficiently to different mobile networks. “The best device is of little use if it cannot hold a signal. The P8 has been developed to hold and amplify even the weakest connection. The mandate was to design devices that inspire creativity, and the P8 stands in a category of its own,” Stanley Chyn, said. “The Huawei P8 is built to offer a world-class user experience, something we, as MTN, emphasize in everything we do. Because we believe in making the customer the champion. With our country-wide 4G network, this phone will deliver that,” he added. The P8 runs on Android 5.0 Lollipop modified with Huawei’s Emotion UI 3.1, and features a 5.2-inch full HD display, 2,680mAh battery, and 2GHz octa-core processor. For the camera, the phone introduces a new philosophy for camera design leveraging a combination of hardware, software and proprietary algorithms to help users capture beautiful photographs, even in the worst lighting conditions. The P8 was recently chosen as the best consumer smartphone at the annual European Imaging and Sound Association (EISA) awards among many categories and sub-categories under mobile devices. As it turned out, the Huawei P8 was also voted as the best consumer smartphone for this year. 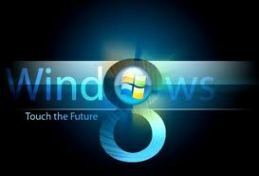 After having played with the device at the test area during the unveiling, I have a few impressions. It is very light and the build quality is as high as a smartphone can get. The camera’s performance in low lighting is exceptional. Since it was in the evening, I never got around to testing it under bright lighting but I doubt there would be any misses under such circumstances. The software is textbook Huawei. The Emotion UI we’ve known since the days of the Ascend P2 lives on and as such all the installed applications clutter an otherwise beautiful homescreen. I’ve owned a Huawei before, one of the early, low end ones, but it was worth the money and I sold it still working perfectly!